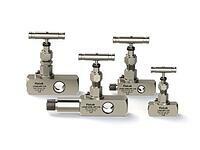 SSP offers needle valves for instrumentation, controls, testing, laboratory, and other applications. 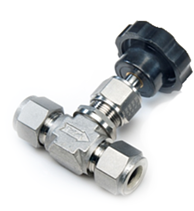 Find Needle Valves for your applications. 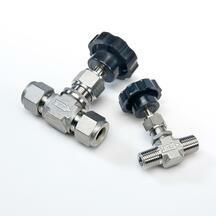 100 & 600 Series Needle Valves are general purpose integral bonnet needle valves. Integral bonnet needle valves are use in instrumentation, laboratory, gas delivery system, and a wide variety of other applications. End connection sizes: 1/8 to 1/2. Metric sizes available. LN Series Needle Valves provide flow regulation, metering and leak-tight shutoff for severe Oil and Gas, power, chemical, and petrochemical application up to 10,000 psig (689 bar) and up to 1200°F (648°C). LN Series needle valves feature live loaded chevron packing below the stem for durability and reduce maintenance. Download the LN Series Needle Gauge Valves Catalog. With a straight through flow path, LP Series rising plug gauge valves provide positive shut off for instrumentation and control applications, especially in systems that are subject to obstructions due to particles, viscous fluids, corrosive and erosive media where rodding may be required. 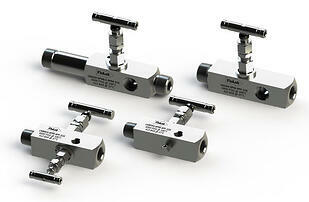 LPG Series root gauge valves have multiple ports to mount gauges and other instruments. With the packing below the stem threads, 400 Series needle valves provide leak tight shut off in systems with corrosive or errosive media. Designed for larger flow, 400 Series neede valve have end connections to 1 in. and orfice sizes up to 0.562 in. Orifice Sizes: 0.172 to 0.562 in. End Connection Sizes: 1/8 to 1 in.